Was it fair to issue complaints just before election? 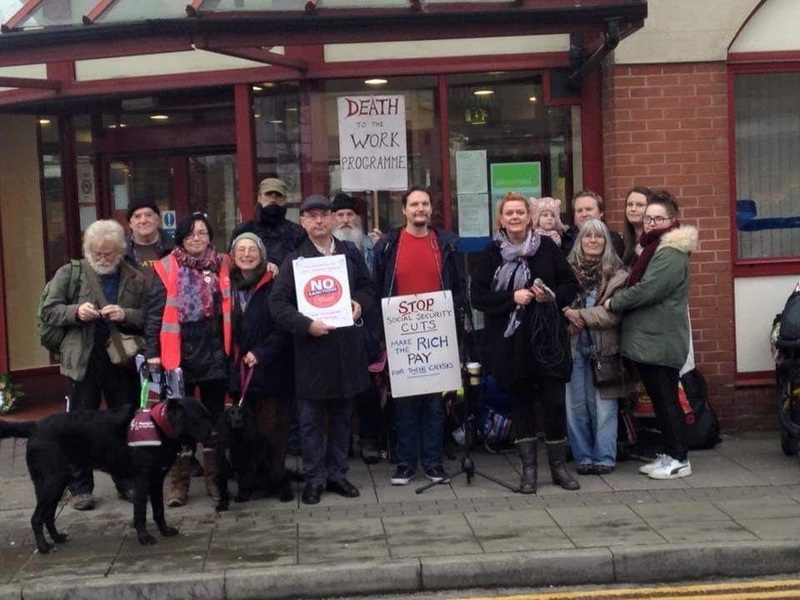 ON Wednesday the 28th, March, the Unite Greater Manchester Community Branch convened for its tri-annual AGM amid some consternation about the banning of two of its members. I had just bought some hot cross buns from Booths near Media City and I thought I'd pop in to give my comradely greetings at the Community Branch meeting at the Unite Salford Quay's office. To my surprise, as I entered the canteen just as pandemonium erupted I was to learn during the various loud verbal altercations and banter about the suspension of two Community Branch members from the AGM. In the commotion it became clear that on the eve of the AGM meeting that Mr. John Pearson and Mr. Chris McBride, had both been served with letters informing them that they were subject to a complaint of such magnitude that they were now under investigation, and consequently according to the union's disciplinary process under Rule 27 'should be suspended from holding any office or representing the Union in any capacity, pending the outcome of that investigation'. Curiously they were served with these orders, the very day before the two men were running for office at last night's AGM. John Pearson was standing for election as chair against the present incumbent Evan Pritchard. Last night, this ruling was interpreted as meaning that both Mr. Pearson and Mr. McBride were not allowed to attend the meeting, and thus their nominations for officer positions were not put to the branch meeting and Evan Pritchard was elected unopposed. Why is such a heavy hand being employed to proceed with a complaint under Rule 27:4.? After all the North West Region Finance and General Purposes Committee that ruled on this complaint, met on Tuesday, 20 March 2018, and the notices to the suspending Pearson and McBride from holding office were only delivered on Tuesday, 27 March. Oddly this was the day before the branch elections. This is troubling coming as it does on the heels of another recent ruling by the Assistant Trade Union Certification Officer that in the case of McFadden v Unite: 'Breach of union rule decision'; where it was found that the union had acted beyond its powers in trying to legislate on the activities of individuals at a private event. In the Pearson and McBride case under Rule 27:4 .1 'A member under disciplinary investigation may not attend: meetings of his/her own branch'. This has been the case since the Unite Rule Book was been updated in 2015. People of fair minds may wonder here if this additional sub-rule 27:4.1, might not be mis-applied, perhaps by people of vindictive or vexatious intent to invent complaints to ban others whom they might not take a shine to for whatever reason; political or personal? In the Pearson and McBride case under consideration here, one must wonder about the timing of the issuing of these notices on the brink of the elections for AGM positions for which they had been nominated for office. Unite's Rule 27 does not state that a member will be suspended from participating in branch elections, it merely says the 'Regional Committee may suspend a member under this rule from holding any office or representing the Union ...'. This does not seem to prevent a member standing for office, because any complaint against the member may fail and the suspension could well be lifted. Hence, one may ask why were Pearson and McBride prevented from standing for office at last week's AGM of the Unite Greater Manchester Community Branch ? Lol!---I'm sure he can speak for himself Alec! 'Natural Justice' will find its slot I hope. These people are very dangerous for the working class unemployed in Mcr. N-Voices is a breath of fresh air after keeping matters 'our business' for so long! Thanks for clarifying matters Brian! The Greater Manchester Unite Community Branch monthly newsletter issued today has a somewhat briefer comment on these matters, "The longstanding issues affecting the branch have been resolved".